← Where is pumpkin, where is pumpkin…here I am! This month’s Secret Recipe Club blog assignment was an interesting one. From Arepas to Zwetschgen is a blog that pretty much spans the globe. I spent a while browsing around. So many great recipes from lots of different countries! Check it out when you have a chance. When I saw the recipe for Czech Beef Goulash, I was automatically inspired to bust out the recipe that I’ve been using for a looooong time (I was missing a few of the ingredients for the assigned recipe anyway, plus I don’t have a pressure cooker). It served its purpose by filling our bellies with lots of warmth and comfort on a cool, crisp autumn day. There’s something about the way the sour cream blends in with the sauce and noodles…the whole thing comes together so nicely. Yum. I’m so glad I was reminded of this meal, which is very similar to the assigned recipe (see link below)…looking forward to making it again soon! Preheat oven to 325 degrees. Heat oil in a oven safe casserole dish and add beef, cooking until brown. Add onions and garlic, and cook until onions are transparent. Add paprika and stir. Add tomatoes and tomato paste. Dissolve flour in beef broth, stir and add to pot. Add thyme, then salt and pepper to taste. Bring to a boil, stirring often. Cover tightly and place in oven. Cook for approximately 2 hours. Serve with noodles and a dollop of sour cream. 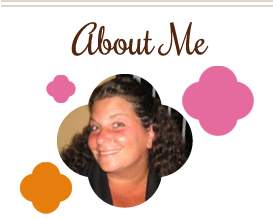 This entry was posted in beef, freezer friendly, main dishes, make ahead, Secret Recipe Club. Bookmark the permalink. I love dishes you can prep and walk away. Great choice. I haven’t had goulash in forever! This looks amazing. I am going to bookmark it for later. Great choice! This is one of my all-time favorite recipes. Sour cream in any dish is wonderful and this one looks fabu. I’m so excited the cooler weather is here and it’s time for these kind of foods. This sounds terrific! I’ve never made a goulash but they always look so delicious and yours is no exception! I’ve pinned this and I’ll have to try it out this winter-it looks like a good cold weather dish! I love beef goulash!! Haven’t made it in forever, need to try this recipe. I love comfort food recipes like this! I’ve never had goulash but it sounds like serious comfort food. Yum. Yum! I want this for dinner tonight! making this tonight! It’s in the oven right now, hope it turns out! 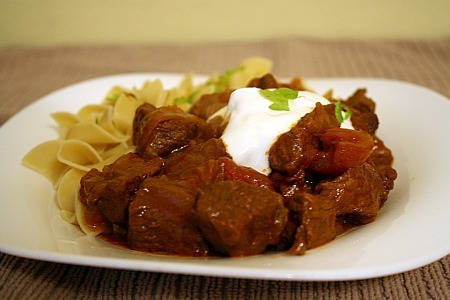 goulash is not something I usually eat, but this recipe sounds wonderful!